Finding the right pointe shoe is hard enough. But as any serious ballet dancer can tell you, it's only half the battle. The padding you pair with your pointe shoes plays a big role in your ability to stay on your toes pain-free (or close to it) through classes and rehearsals. When Second Skin squares alone won't cut it, there's a new generation of toe pads to provide relief. Chances are you've seen these pads (and the telltale blue putty that comes with them) on your Instagram feed. The completely genius PerfectFit inserts are actually customized molds that fill any spaces between your toes and your shoe vamp, and help reduce pressure on commonly irritated spots like bunions. Though they've only been around for a few years, PerfectFit pads have already gained a huge pro following, including New York City Ballet's Sara Mearns, Royal Danish Ballet's Holly Dorger and Los Angeles Ballet's Bianca Bulle. 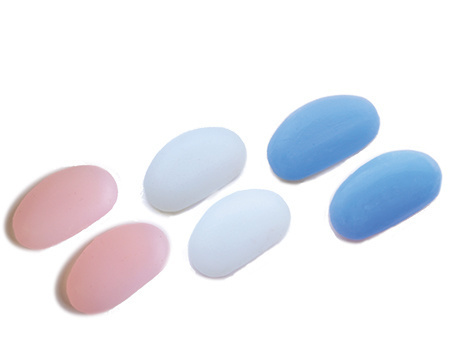 These tiny pink dots can be used on their own or in addition to your usual padding. Created to reduce irritation and blisters, the dots are made from hydrogel, which has a cooling effect on the skin and is actually popular in the medical field for its ability to serve as a hydrating barrier to wounds. You can buy 'em in bulk with their 90 piece jar, or test them out with their 20 piece packets (perfect for storing in your dance bag, by the way). The first ever toe pads specifically designed for dancers with longer toes (or bunions that need a little extra protection), Gellows' have extended sides that can be cut to perfectly fit your foot. Though they're made with a layer of gel between two layers of seamless sock material, they're still thin enough to let you feel the floor. 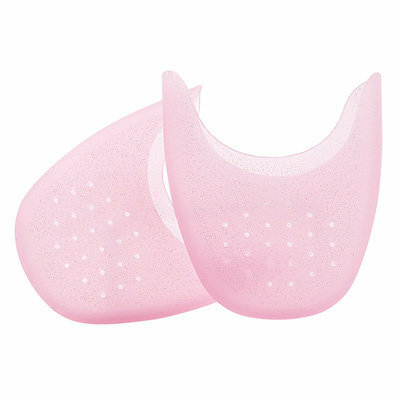 If it's your pinky toes that seem to take the brunt of your pointe work, consider these conical-shaped pads. Designed to slide right over your pinky toe (or really, any of your smaller toes), the polymer gel pad helps prevent blisters and corns. Eurotard's thinnest (and sparkliest!) toe pads, the Fashion Lites also include ventilated holes throughout to let your toes breathe. The flexible material stretches to cover your toes and bunions, and can be trimmed for a customized fit. These colorful minis are designed to sit perfectly in the platform of your shoe, helping to absorb the shock of impact while you dance. 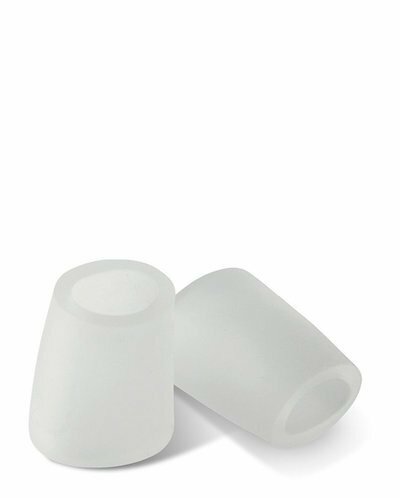 Made of hypoallergenic medical-grade silicone, the flexible pads come in three sizes (small in pink, medium in light blue and large in white) to correspond to your pointe shoe size.